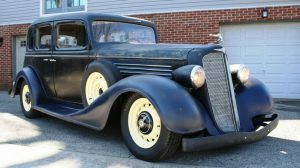 Do you ever wish you had the time, space, and discipline to buy a collector car, throw it in your barn, wait 20 years, and then sell it for profit? 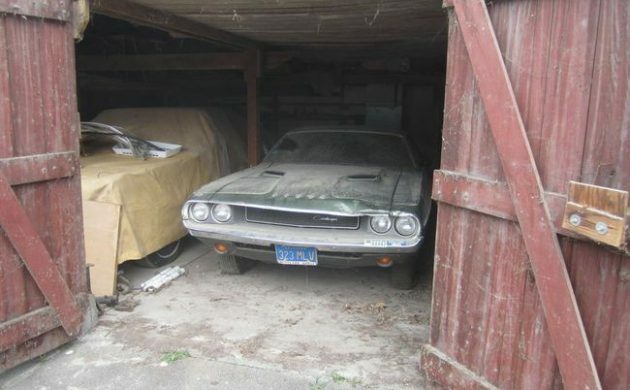 I certainly do, but until I acquire both more real estate and luck, it likely won’t happen like it has for the seller of this 1970 Dodge Challenger convertible. He claims to have purchased it in 1989 and put it immediately into the garage for storage. It features a manual transmission and 340 power, and is available here on eBay with an opening bid of $40K. This Challenger is not only desirable for being a convertible but also for some interesting options it features. The seller claims it is highly original, with no aftermarket / non-original parts installed other than tires and a flex fan. 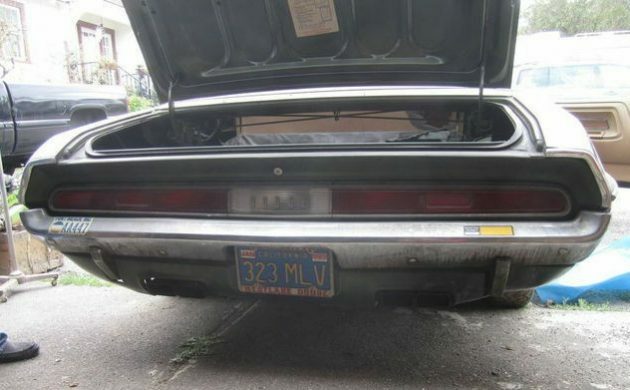 The seller notes, “It is a regular JH Challenger with the A66 package which is the 340 Four Barrel Engine, Performance Hood and Dual Exhaust with Bright Tips.” Note the old school California license plates and metal dealer plate frame – I love details like this. The interior remains in outstanding condition, especially for a car that’s been sitting this long. The bucket seats, console, and dash all appear quite sound, with the only damage visible being some wear to the seats and soiling of the console. 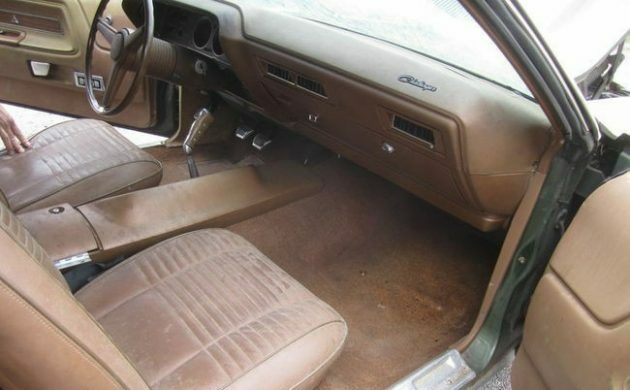 The Challenger was apparently parked in the 70s due to a slipping clutch, and it seems likely the seller snatched it up and parked it, either with the intent to watch the value appreciate or to repair it – either way, leaving it untouched was a good move. The 340 is not frozen, though it currently doesn’t run. The seller has included extensive documentation in the photo gallery, along with all broadcast / build sheets. 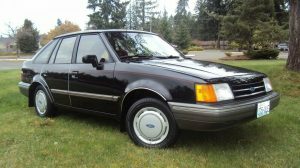 The seller notes it has full factory undercoating, no rot-through, and a convertible gutter surround in beautiful condition. Cars like this don’t come up for sale often, and the options alone would make this Challenger desirable even if it were a total basketcase. Fortunately, it’s not! Just about exactly the way I would want one, except for the 4-speed. Too bad it would cost more than both my current cars added together. I think I’d rather have one with 150,000 miles than one that had just sat. Not my first choice for color combo but it does look nice. Curious if the hood crunch happened pre or during storage? 4 speed always a bonus. 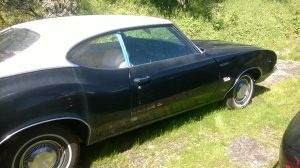 It’s a shame to have it sit for an easy fix, I know of a ’69 Z/28 that’s been sitting for same reason. Would love to get my hands on that one. 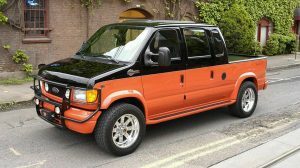 This too would make for fun cruiser with the potent small block, stick and convertible. Hopefully goes to a good home to get used for a change. The auction is already over, it seems…looks like someone bought it for $60k. Yowza. So sure, it was sold, and eBay again got stiffed for the percentage of the sale, but the exact amount is between those who made the transaction. So the seller thought it was a winner, and parked it with an eye on later profit? Or maybe just never got around to fixing the clutch? In the prior instance, why not store it better? Seems like more was done to preserve whatever is under the tarp. @DayDreamBeliever – Just so you know, eBay hasn’t charged a percentage on car auctions for a very long time. They still get a percentage on just about everything else though. 1989 – 2019 is 30 years…. 30. 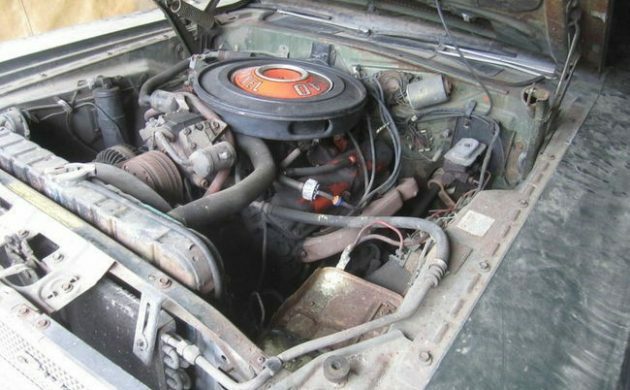 Parked in 1977, purchased by seller in 1989 – 42 years non-op. Said add was withdrawn “due to error in listing” Is it being reposted or did it sell and they are trying avoid ebay fees? I’m more curious what is under that tarp on the left side looks as if it’s a bigger car? I probadly would rather have it myself? Yeah, a car cover, and a case of engine degreaser, lol! That’s the most oil and dirt buildup I’ve seen on an engine in a long time. Valve cover gaskets are pretty simple to replace! try replacing valve cover gaskets on a ford escape. whoever built that engine had no concern for the lowly mechanic. As an ex “lowly mechanic” I’m hearing you! Very rare with power windows. Just love that it is a factory 4 speed. These cars were around in the late 1980s and I doubt he paid 4000 dollars. BUT that was then and this is now. I dont think he bought it to put away as no one knew back then what it would be worth today . Barrett jackson wasnt on tv and people didn’t have money like today. If i had the barns for all the cars i had back then i wouldn’t be working today !